We're now over halfway through my birthday streak party! Only 18 more days until my birthday!! It's going to be a fun weekend, and I can barely wait. Guess I'll just keep running until then. LOL. It's a pretty small party right now, and I'd love to still have YOU JOIN THE FUN! Just fill out this form to gain access to the spreadsheet where you can log all your runs and yoga sessions. You can start today OR you can retroactively enter any runs/yoga you've done since 7/5. YOU DON'T REALLY HAVE TO STREAK! You can earn points for each run or yoga session that you do, even if you miss a day here or there. Here are the prizes you could win! If you want to try it NOW instead of waiting to see if you've won, you can get 40% off by using ENJOYINGTHECOURSE during checkout. Shop here. 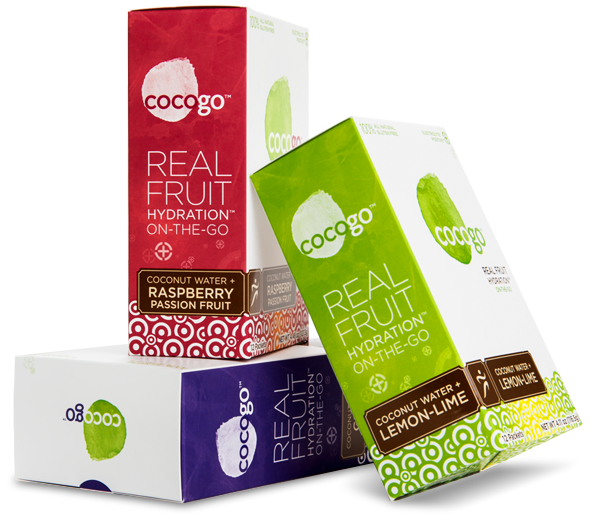 You can follow Cocogo on Facebook, Twitter, or Instagram. 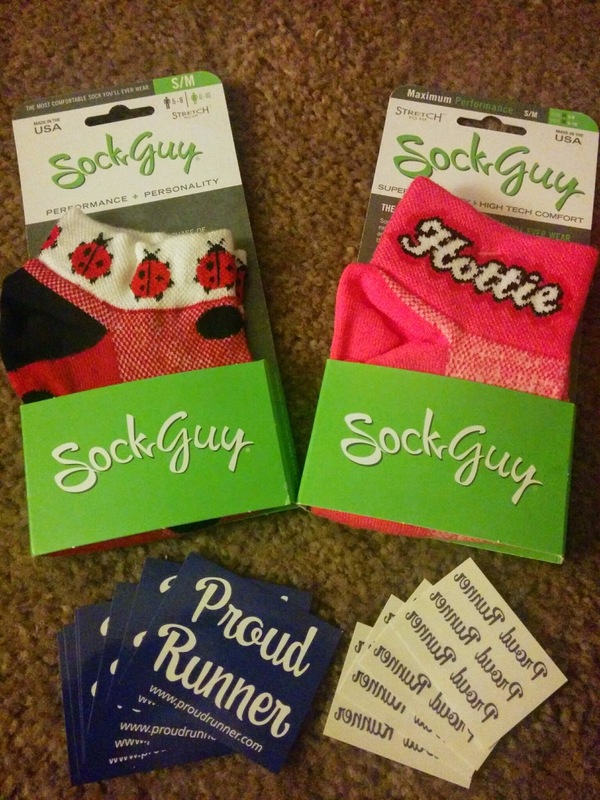 A gift pack from Proud Runner! This includes TWO pairs of socks, some stickers, and some temporary tattoos. I received the very same pack, and let me just say that I LOVE THESE SOCKS! Especially the cute ladybug socks. Both pairs are soft and comfy. The ladybuy socks are a low-rise sock, which is why I like them better. You can follow Proud Runner on Facebook, Twitter, or Instagram. I recently received one box of each flavor to review. 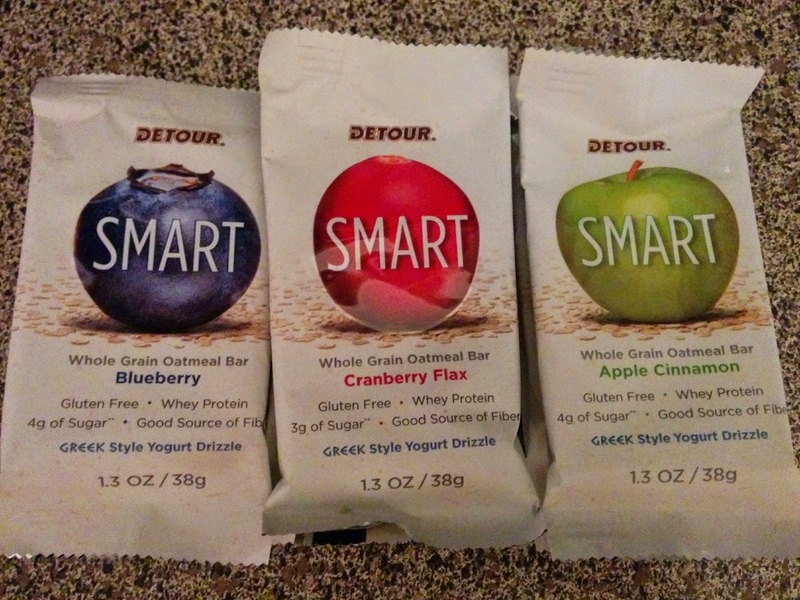 They were so delicious, I stashed 3 bars of each flavor to send to YOU as a birthday gift. I don't tend to be a huge fan of protein bars, but could honestly eat these all. day. long. The blueberry and apple cinnamon are definitely my faves. The texture is good and the flavor is delicious! I LOVE the yogurt drizzle on top. Yum! You can follow Detour on Facebook, Twitter, or Instagram. You can follow Bondi Band on Facebook, Twitter, or Pinterest. 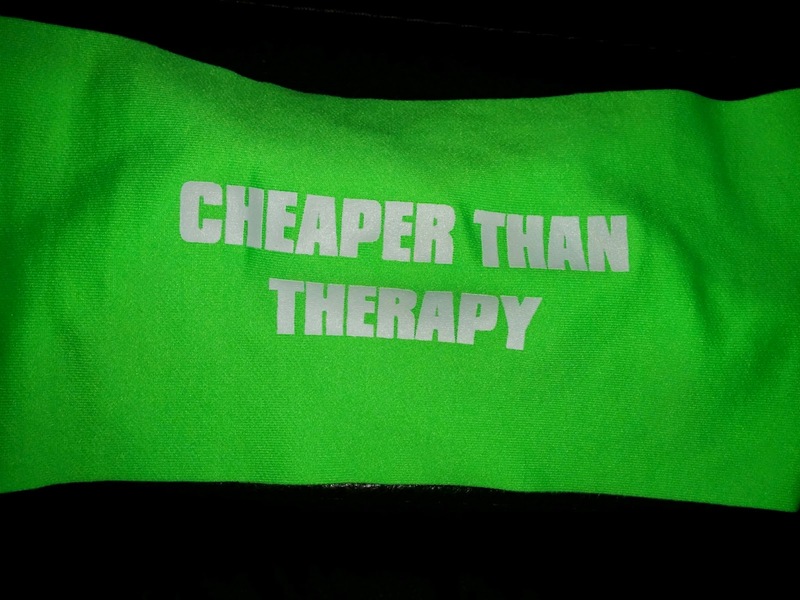 And last, but not least, a multi-grip stretch strap! We ordered one of these online a few months ago. We were accidentally shipped two. We tried to return it, but were told to just keep it. Something about not being able to find anything to return. Works out for you because now I have an extra one to giveaway! I'd love to have YOU PARTY WITH ME! In addition to running and yoga, you can earn extra points by sharing pictures, tweeting, and/or following any of the sponsors on Twitter (or your favorite social media platform). Woowoo for birthday parties! I've missed a few days, but am going fairly strong with the run/yoga combo. Hope you are having a great birthday month. Yay! :) So happy to have you join me. I like parties :) I wish I was going to run a race on my Bday! I have only missed one run day so far, I was sick and crashed, but I don't plan to miss anymore :) Great prizes. Great party! The Stretch Strap looks so cool! I am so tempted but have been a little flakey with my running habit. Happy early birthday though! Give into the temptation. :) You don't actually have to streak, but come for the fun.